Why do some Christians drink wine? 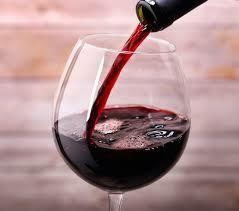 Jesus-Islam » The Christian life » Why do some Christians drink wine? There are Christians who strongly maintain that Jesus never drank alcohol. They argue that the word translated by wine can both indicate either an alcoholic or non-alcoholic drink, and there is no evidence that he ever drank anything fermented. Others, on the other hand, say that Jesus most definitely did drink wine. At that time, some say, the alcohol or fermentation rate was not the same as today. They also tell us that the Bible does not prohibit the drinking of wine and that there is no medical evidence to show that wine consumed in moderation is harmful to health. At the time of the New Testament, some water was unfit for consumption. Without modern efforts to purify this water, it would continue to contain harmful microbes and pollutants. This is still the case in many Third World countries. As a result of this, people more often drank wine that was free from such contamination. Paul even advised Timothy not to drink only water, but also to drink wine for the sake of his health. “Do not continue to drink only water; But make use of a little wine, because of your stomach and your frequent ailments “(1 Timothy 5:23). The latest scientific (medical) findings have proved that drinking wine in moderation helps the heart, reduces cholesterol and lowers high blood pressure. But, we may still abstain for other reasons. Of course, the Bible condemns alcoholism and drunkenness. The apostle Paul warns us against any excess of wine. “Do not get drunk with wine: it is debauchery. Be, on the contrary, filled with the Spirit “(Ephesians 5:18). We are meant to be controlled in our behaviour by the Holy Spirit, not by alcoholic spirits! Titus 1: 7 declares that those who teach the Gospel and care for others spiritually must not be someone who has a real appetite for wine, and especially should never be drunk. The abuse of wine is a sin (1 Timothy 3: 8). I have witnessed the damage caused by alcoholism in a person’s life, but I have seen so many people have a drink without suffering any harm. For a very long time this has been a point on which most Christians agree. However, the problem has gone beyond the borders of Christianity. In recent years, alcohol has also become an issue of concern in Islam, due to the fact that many Muslims live in Europe and unfortunately many of them have also become accustomed to trying to alcohol. Wine is not bad, it is the abuse that is made of it that is bad and that is what the Bible condemns. There are many things that are not bad in themselves, but as the saying goes: the excess of everything is harmful. I know that some people get a taste for it which leads them into difficulties. I do not want to open that door of temptation. I have worked with many alcoholics, and seen the damage it has done them. I have also known the violence and immorality associated with regular drinking. I don’t want anything to do with encouraging that. In my life as a Christian there are many things I could do without sinning personally, but if I have a choice, I would rather voluntarily choose the path that leaves me with a clear conscience. 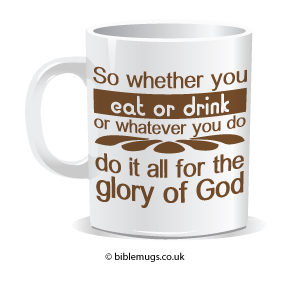 God has given Christians a wonderful guiding principle to follow in what they eat or drink. The Gospel doesn’t give us a thousand rules by which to get to heaven. We are saved by the grace of God through the death of Jesus in our place. But, now true followers of Jesus live by many principles that influence and inform their decisions.